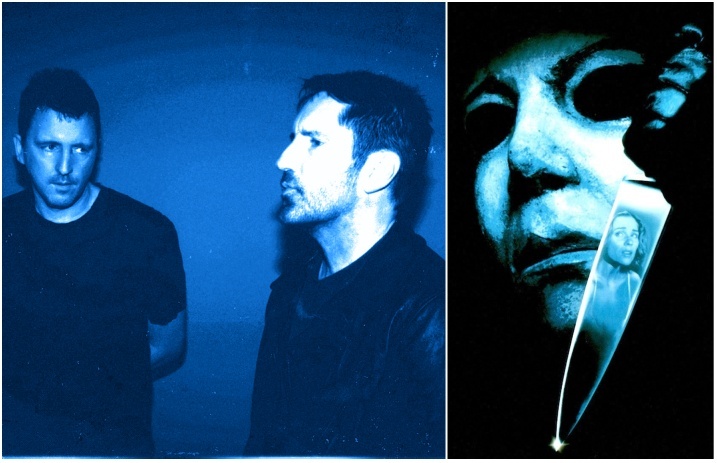 Nine Inch Nails' dynamic duo of Trent Reznor and Atticus Ross have shared their supremely spooky cover of John Carpenter's famous Halloween theme just in time for the hallowed holiday—check it out below! One of the most iconic scores in horror movie history, filmmaker John Carpenter's “Halloween Theme (Main Title)“—first unveiled in the original 1978 slasher classic—is an instantly recognizable spine-chiller. Here, prolific musicians Reznor and Ross make it their own in a twisted, tantalizing way. And who else better for the job? Reznor and Ross have been making eerie, atmospheric incidental music since their soundtrack work for director David Fincher, not the least of which being the pair's ambitiously ambient, 3-disc opus that orchestrated 2011's The Girl With The Dragon Tattoo. Of course, the two musicians also currently comprise the official member roster for Nine Inch Nails, who released their Add Violence EP earlier this summer, following 2016's Not The Actual Events. A third NIN EP release, completing an EP “trilogy” (per Rolling Stone) is expected by the end of the year.